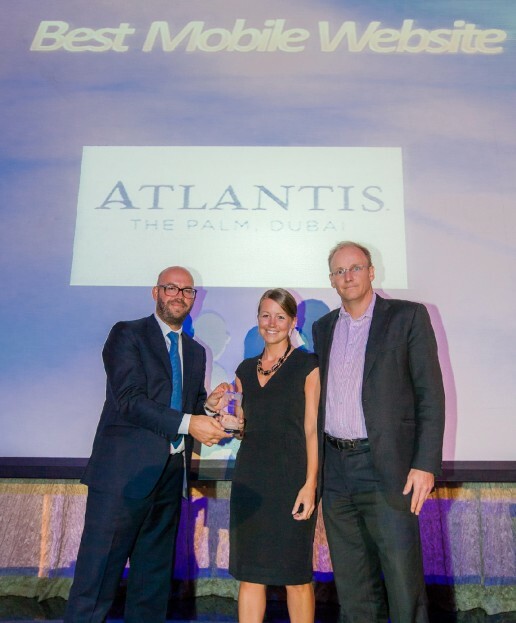 Atlantis, The Palm was awarded “Best Mobile Website” at The Mobies Awards ceremony, taking place 15 May in Dubai. The Atlantis mobile website offers up to date deals, resort facility and restaurant listings on a fingertip. “We are on a constant quest for innovation and the win of ‘Best Mobile Website’ at The Mobies Awards positions us as an industry leader and proves our dedication is paying off”, says Ravini Perera, Senior Vice President Marketing and Sales at Atlantis, The Palm. “Our mobile website enables users to find information they need quickly and easily”, Perera continues. The Mobies Awards are designed to identify and reward those companies who have demonstrated an unparalleled ability to succeed in The Mobile Industry. View our awards page to see the full list of awards won by Atlantis. Atlantis, The Palm continues to innovate and has recently launched a new mobile and tablet app. The app is an informational in-resort guide and application covering the most iconic hotel in Dubai. All the tools are there for you to be able to plan your time at Atlantis, no matter how long or short your stay. The Atlantis The Palm App includes viewing and booking rooms, restaurant reservations and day visitation activities including event tickets with real-time pricing and promotions.